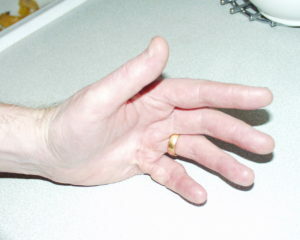 Martin has Dupuytren’s Disease, and in 2005 his left hand was at a stage where he decided something needed to be done. He went to see a surgeon, and dermofasciectomy (surgery with skin graft) was recommended. 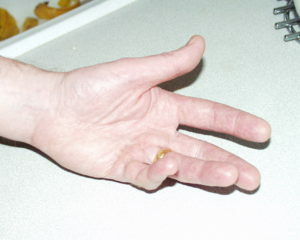 He had the surgery done, and since then his hand has been flat and his fingers mobile. 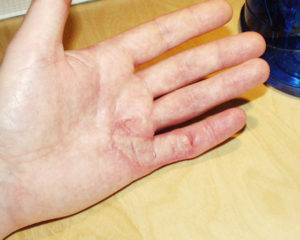 The only after effects were some numbness and tingling that resolved over time, the grafted area gets sunburn easier than the rest of the hand, and the edges of the wound in the palm get injured easier than the rest, so the grafted skin seems a bit less resilient than the rest of the palm. “My father also suffered with Dupuytren’s and had both hands operated on at the same time. 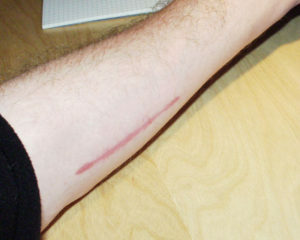 He didn’t have the skin grafts but just had the damaged tissue removed and the sides of the wounds stitched up. 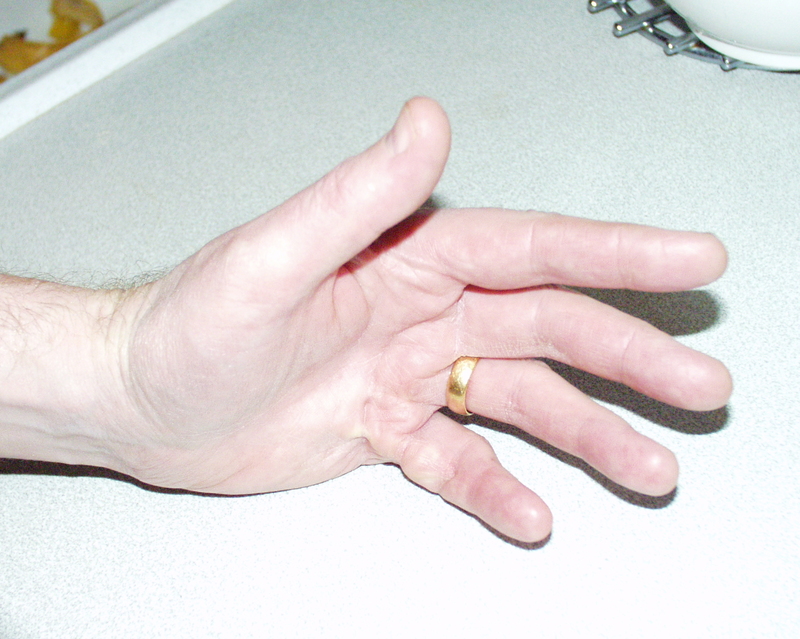 Healing was significantly slower and uncomfortable and the contracture showed signs of returning about ten years after the operation.